Nike created this great Fall wreath by mixing a Fall decorating staple, wheat, and a fun popular trend, chevron. 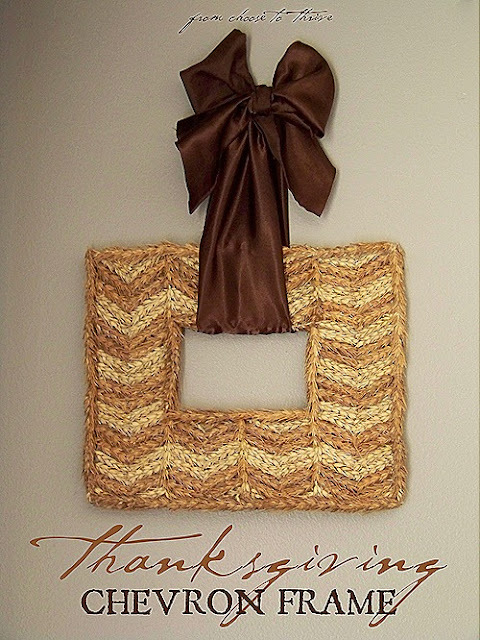 A gorgeous chevron wheat frame wreath. You can use it as a frame or hang it on your front door. You can check out the tutorial for this Thanksgiving chevron wheat wreath over at Thrive.